In the structural failure on 15 March, a bridge span fell onto a busy road, killing five vehicle occupants and a bridge worker (link opens in new tab). Eight other people were also injured. The update by the National Transportation Safety Board (NTSB) details the examinations of the bridge’s construction materials and the numerous tests conducted, including multiple concrete compression core and steel sample tests. 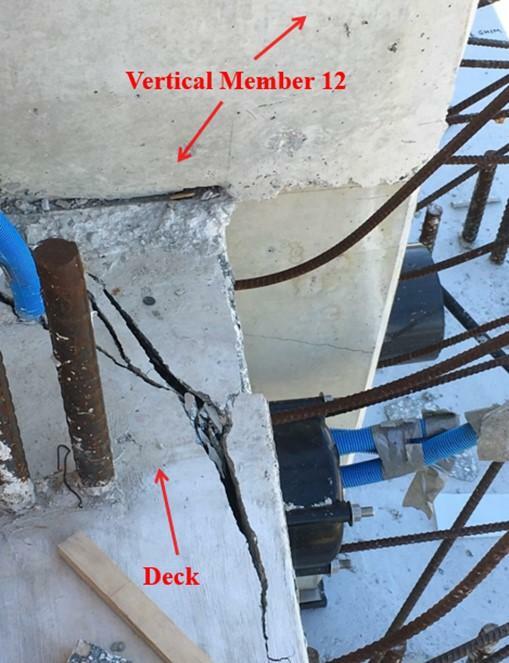 The investigative update also includes an evaluation of a steel post-tensioning rod and the hydraulic jack used during re-tensioning activity before the collapse. So far, the NTSB has interviewed employees from eight firms and organizations involved in the design, inspection and construction of the bridge. Bolton, Perez & Associates Consulting Engineers has been added as a party to the investigation. NTSB said that all aspects of the collapse remain under investigation while it determines the probable cause, with the intent of issuing safety recommendations to prevent similar events. The report is available on the NTSB website (link opens in new tab).